Michelangelo's has been an Oro Valley institution for close to 30 years and recently opened after a renovation, under a new name - Bottega Michelangelo. Ed and I visited last week to see if it was living up to the new hype. The decor change works. Beautifully modern with wood floors, open kitchen areas, same wall of windows looking onto the rear patio, wood tables, rustic lighting fixtures, and casual yet elegant china and linen. I do have to note that because there's no longer carpet in the dining area, the place was very loud. Annoying to me, but not a deal breaker. 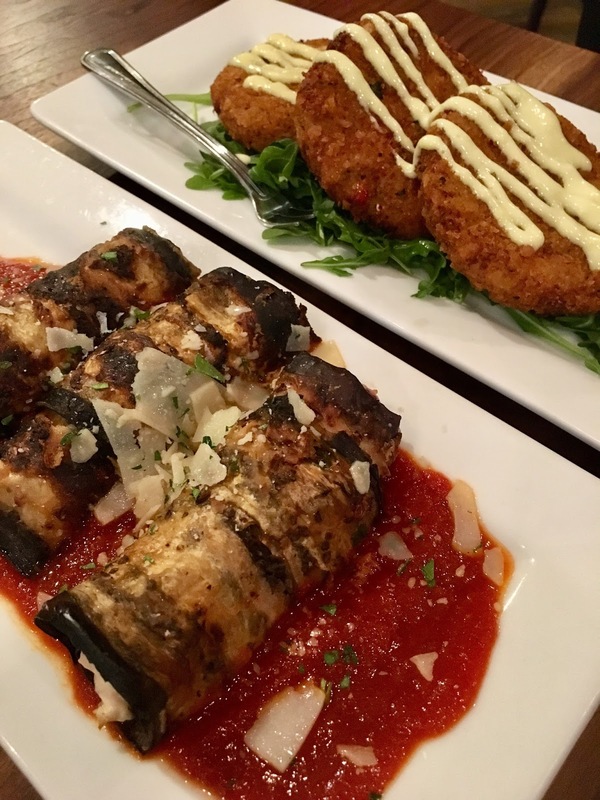 Ed and I started with appetizers (pictured above): the Eggplant Rollatina (goat cheese, pomodoro sauce...$8), one of my favorite dishes, which I found interesting with their use of goat cheese rather than ricotta and Zia's Cauliflower Cakes (lemon-garlic aioli mamma's housemade...$7). Both were pretty delicious and I'm going to consider making the cauliflower cakes myself, at home. 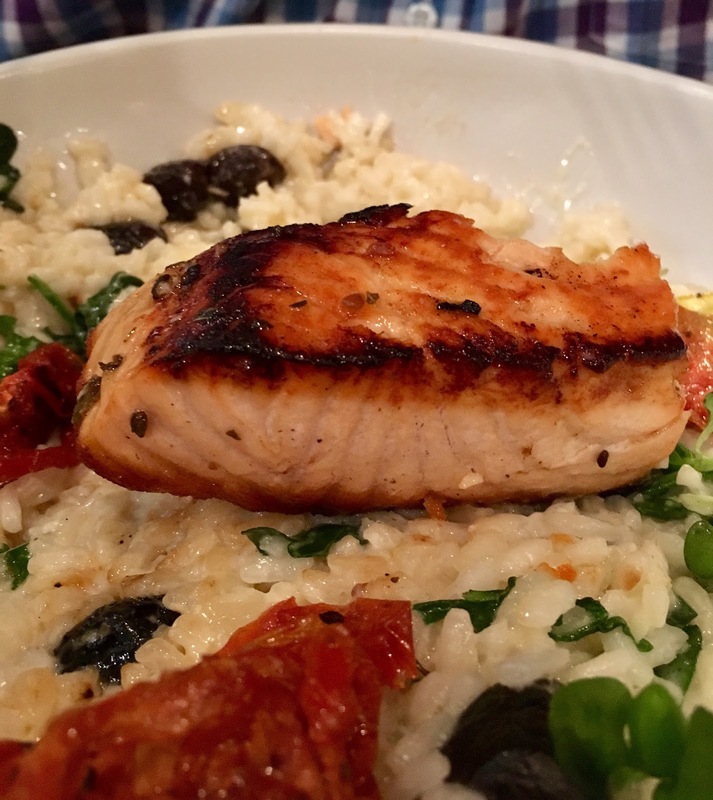 For dinner, Ed ordered the Salmon (oven roasted tomatoes, arugula, and olive risotto...$23), and I ordered what I always order when I see it on a menu, the Gnocchi (pomodoro and alfredo sauce, fresh moxxarella...$15). My gnocchi was delicious and although I'm not a big fan of salmon, I tried Ed's dish and it was pretty tasty. I liked the idea of olives in the risotto but because they were greek olives, and there were so many of them, they made the dish a little too salty. For dessert, Ed had the Tiramisu (his favorite) and I tried the Limoncello Cake, which was great. I'm totally into lemon everything lately. Michelangelo's has been consistently good over the years, and although I haven't been there in a long time, I was happy to see that the quality of food is still the same. Next on the list of things to try is their pizza.